Currently, we are raising funds to build a boys’ dormitory as well as provide clean drinking water and solar-powered lighting. When children are sponsored they are provided with education and, during term time, live in one of the school dormitories. In one of our primary schools, some children were accommodated in temporary quarters. 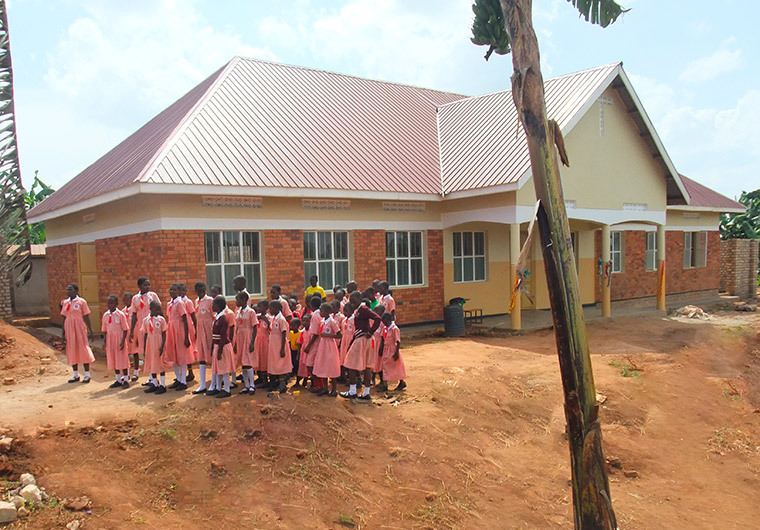 EVC Uganda raised funds and on 24th November 2018, we successfully opened a new girls’ dormitory in the St Matia Mulumba primary school in Kyankoole. This dormitory can accommodate up to 150 girls. 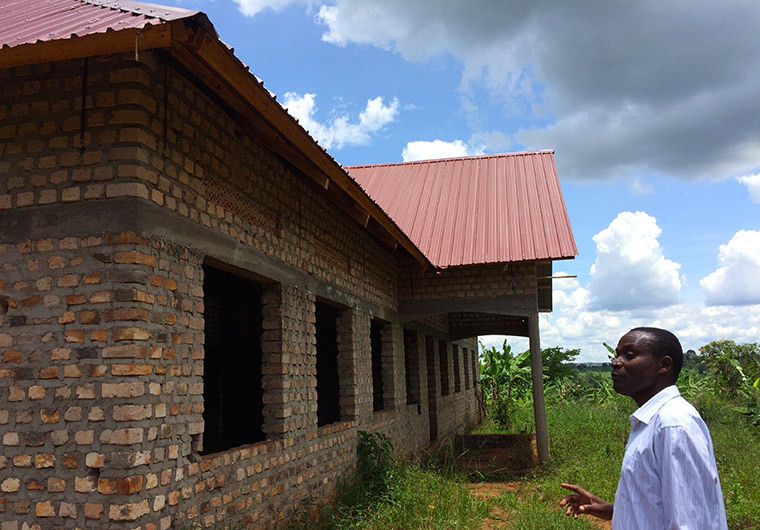 Our next project is to build a similar dormitory for the boys. 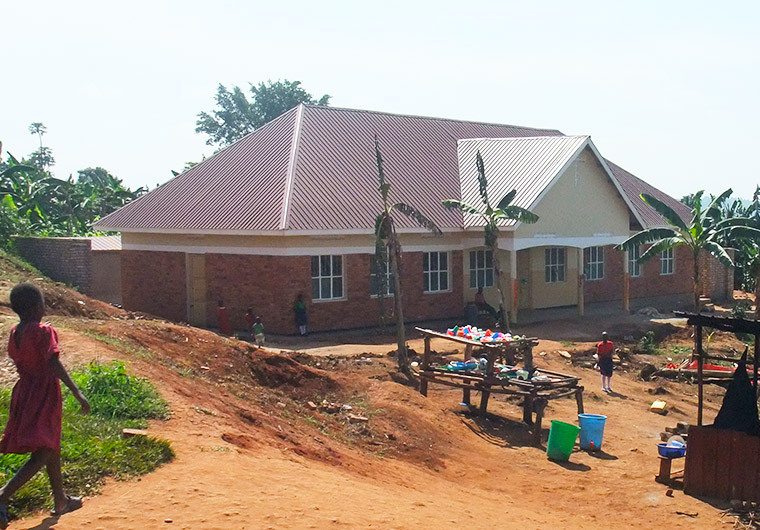 Gifts given towards the construction of the boys’ dormitory will help provide the extra capacity needed for educating more children. 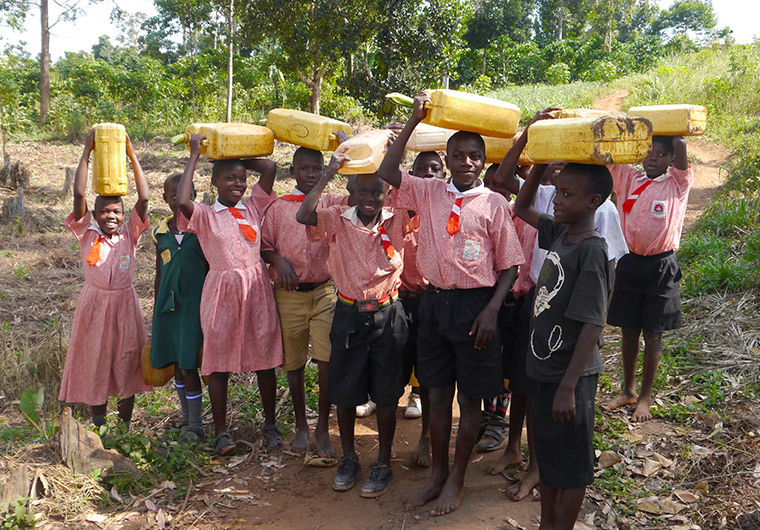 Up to now, the children in the St Matia Mulumba primary school collected water twice a day from a local pond. As the water was not drinkable it needed to be boiled. This was a very time consuming daily task. 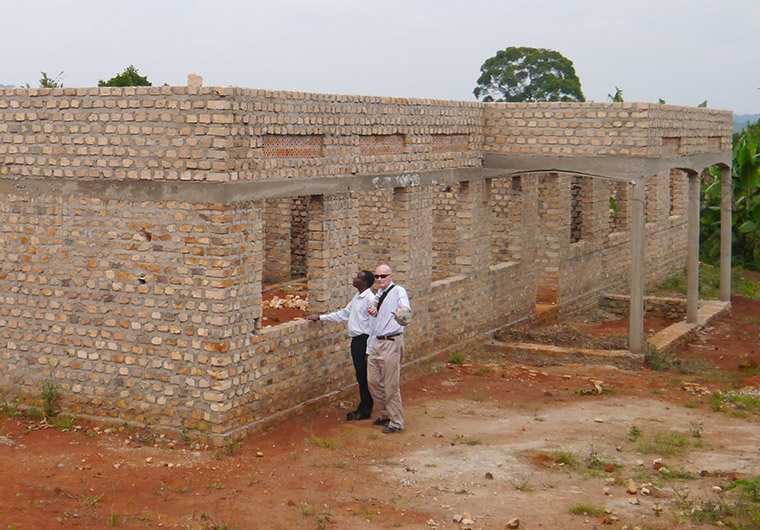 EVC Uganda, in conjunction with the St Joseph’s parish in Bedford, raised funds for the installation of a water borehole and storage tanks in the school grounds. 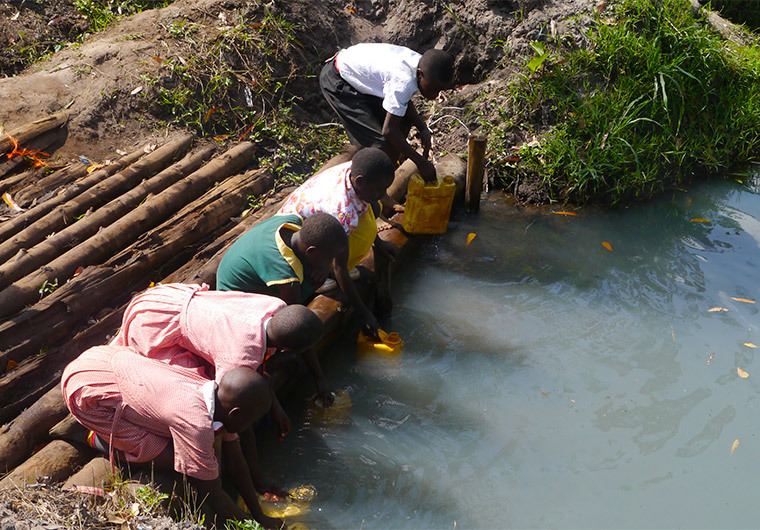 The school now has an abundant source of clean drinkable water and for the first time, the local village of Kyankoole also has a clean water supply. The new borehole, storage tanks and distribution to the villagers will alleviate daily tiring tasks and improve the general health of everyone. Pumps need constant maintenance. 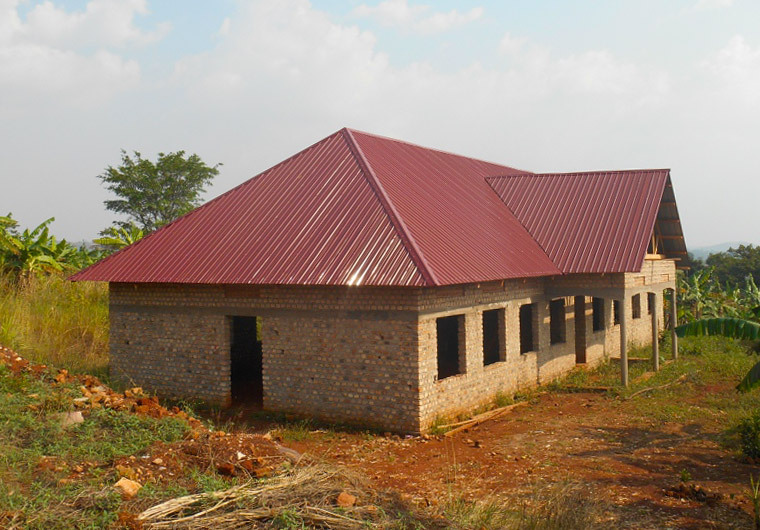 Your gift would help maintain this vital facility. 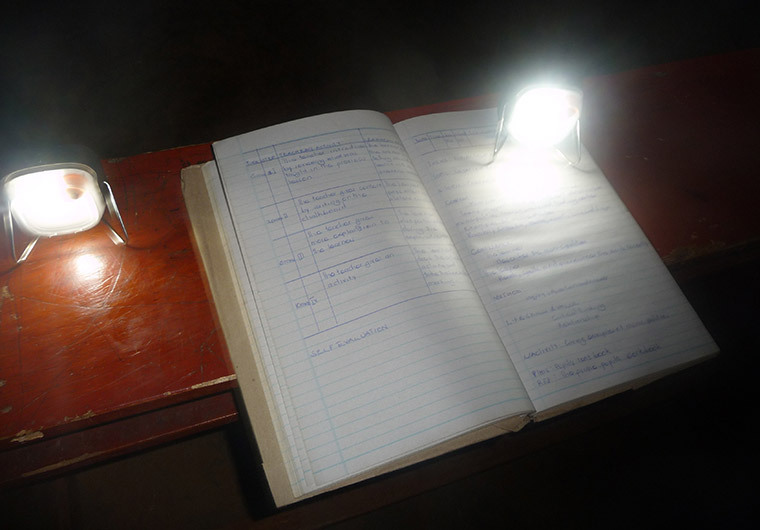 Most communities in rural Uganda have no electricity of any kind for lighting and general household appliances. In Uganda however, there is an abundance of all-year-round sunshine. 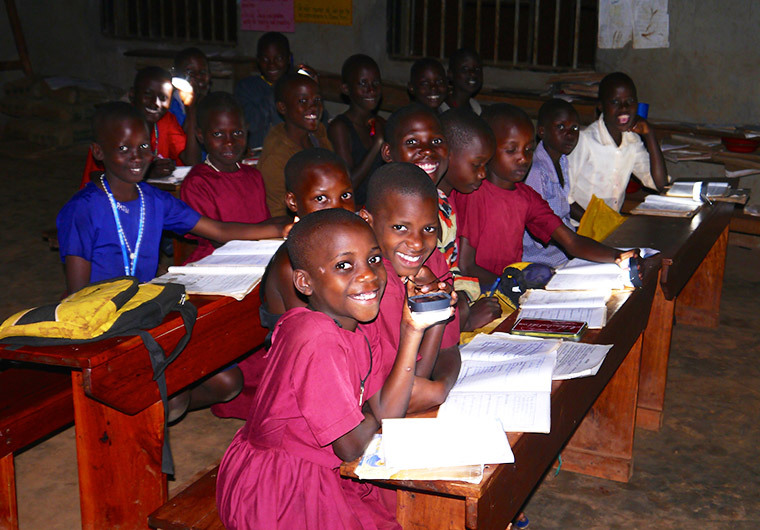 EVC Uganda raised funds and have supplied 200 small solar lamps to the children in our schools. The children are using these solar-powered lights to complete homework in the evening. Our next project will be to supply more solar lamps and install larger building mounted solar panels for general lighting and small power electrical appliances. Your gift would mean a greater number of panels and lights could be provided to the schools and small solar lights also given to the families of day pupils to use in the evenings at home. 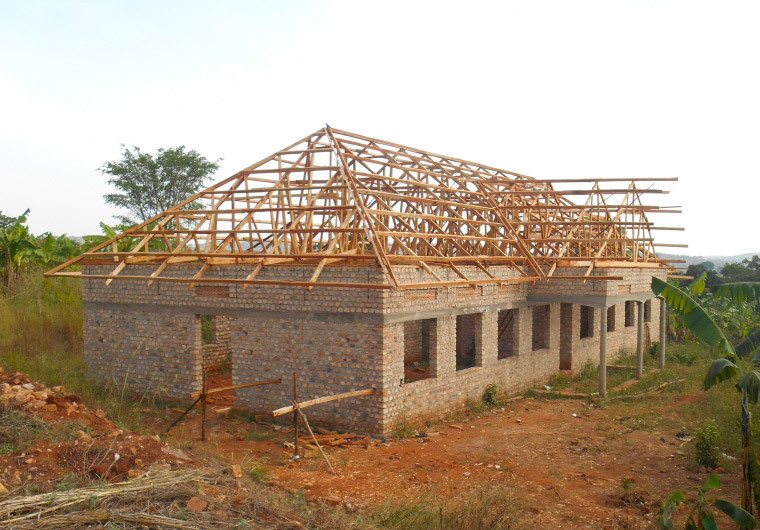 If you are able to provide vital funds for any of these projects, please donate. For more information, please see our Frequently Asked Questions. It costs £240 to sponsor a child ( £20 monthly standing order ) This provides a child with an education, accommodation, clothing and food and pays teaching and non teaching staff. You can also donate securely through BT Giving.